There was a time – most of the first decade of the 21st century – when Leftfield were no longer a functioning concern. With the two members of the band, Neil Barnes and Paul Daley, going their separate ways in 2002, all that remained of Leftfield was a small, but hugely influential back catalogue. They were nominated for the Mercury music prize with 1995 debut LP ‘Leftism’, inspired the progressive house movement with their original tracks and remix work for the likes of Guerilla Records, and assembled a live rig so legendarily bass-heavy it shook lumps of plaster off the Brixton Academy ceiling in 1996. Sophomore LP ‘Rhythm & Stealth’, released in 1999, is almost as memorable visually as sonically – with single ‘Phat Planet’ soundtracking a Guinness advert, and the video for ‘Afrika Shox’ being directed by auteur Chris Cunningham. With Paul Daley no longer involved in Leftfield, the responsibility for ‘Alternative Light Source’ falls solely to Neil Barnes. It’s interesting to listen to the album with that in mind – what’s different? Is anything missing? – as there are very few influential acts which can survive such a crucial split and remain as strong as ever. It’s hard to imagine the Chemical Brothers (another huge electronic act returning in 2015), popping back up as ‘the Chemical Brother’, for example. 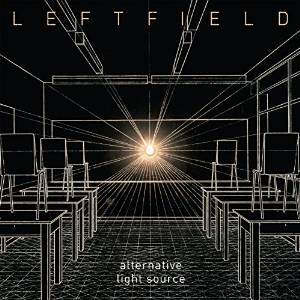 The good news is, Alternative Light Source is the sound of Leftfield firing on all cylinders. From nosebleed techno (‘Universal Everything’) to ethereal broken beats (‘Levitate For You’), the album retains the rampant eclecticism which has always been present in Leftield’s work, and yet still all feels connected, each track drawn using the same canvas, however disparate the atmospheres. Well chosen guest vocalists, another Leftfield trademark, are present and correct. Whilst there aren’t the kind of big names found on the earlier albums, like John Lydon and Afrika Bambaataa, the curation of collaborations works beautifully, with the Sleaford Mods appearance (‘Head And Shoulders’) being a real highlight. Poliça vocalist Channy Leaneagh appears on two tracks, with ‘Bilocation’ working beautifully as a statement of intent for the whole LP. Is there anything notably different in the sound of the ‘new’ Leftfield? It’s hard to pinpoint, but the departure of Daley seems to have removed some of the dubbier influences; Alternative Light Source feels like a more conventional electronic album, with only ‘Storm’s End’, and it’s cascading Trap hi-hats, drawing much from the worlds of hip-hop and reggae. The techno sound is there, as aggressive and bassy as ever (‘Shaker Obsession’), but the album’s deeper moments have a slightly different sheen from the dubbed-out, crunchy Leftfield of old. In some ways the album feels more intimate, more personal – this is clearly the work of one man, a singular vision, and is none-the-worse for that. Sixteen years is a long time to wait between LPs, without question (even the Stone Roses would have baulked at such a hiatus), but in the case of Alternative Light Source, it was worth it. A music scene which includes Leftfield will always be healthier than one which doesn’t, and thankfully, with this LP Neil Barnes has not only protected the band’s reputation, but is certain to enhance it further.